Clean, crisp and cutting-edge design are the standard when you go to the design team at Project6 for your design needs. This San Francisco based firm is located in the heart of the tech arena, and they utilize these synergies to create amazing and memorable content. Since 2001, the company has been providing their clients with award-winning content that stands out from the mass of Web pages that are online today. 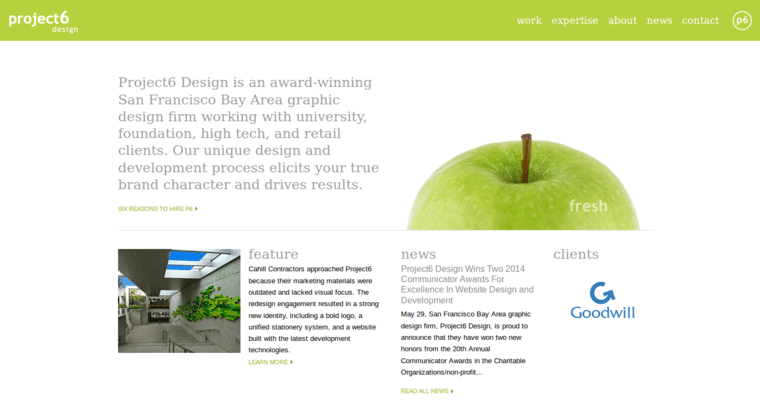 Project6 asks, listens, and understands your goals, needs and wants before they start the design work on a page. This saves clients time, money, and headaches that result from poorly executed work that does not meet a clients' needs. 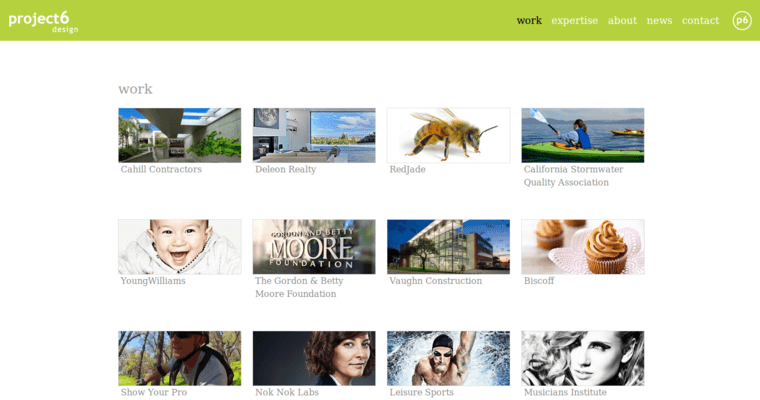 Collaboration throughout the process ensures that clients get the site that they want. It also helps Project6 stay on budget and on schedule. 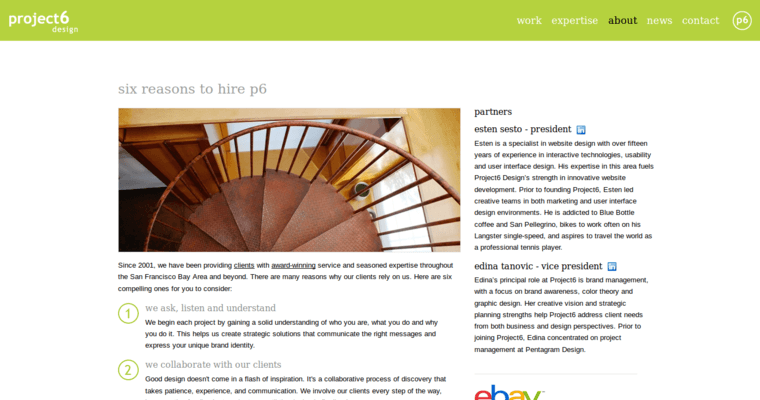 Turn to Project6 for Web pages that meet or exceed all of your expectations.